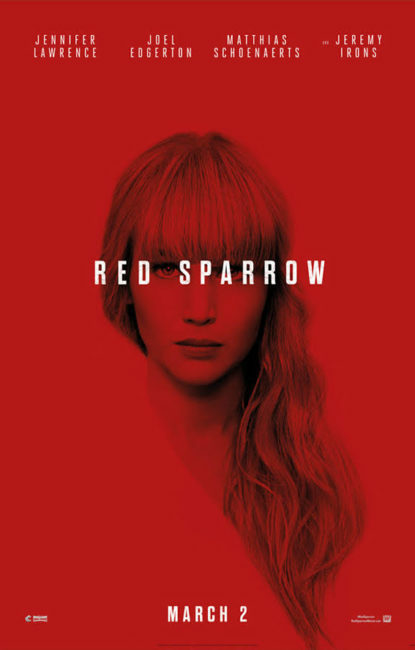 RED SPARROW opens this week, led by another stellar Jennifer Lawrence performance. You might have seen her in mother! last year, or some of her amazing work in WINTER’S BONE, SILVER LINING’S PLAYBOOK and AMERICAN HUSTLE. Here she plays a Russian ballet dancer turned super spy in a thriller that hearkens back to the great cold-war spy movies of the 70’s and 80’s. If you are looking for escapism, look no further. BLACK PANTHER, CALL ME BY YOUR NAME, THE SHAPE OF WATER and I, TONYA continue their runs this weekend with Black Panther staying on two screens so that you all have a chance to catch it. Now if you are willing to indulge us, we have some very special events coming up that we’d like you to know about. Last year, to celebrate his 30th birthday we let one of our managers host a mystery movie. This year MICHAEL’S MYSTERY MOVIE VOLUME 2 plays on March 11th with the same goal. We will be showing a movie sight unseen and 100% of the ticket price will be donated to NAMI New Orleans to help with mental health support in the city. We don’t know what the movie is, but Michael assures us it’s a great one. After two years of ALMOST pulling it off, we are happy to be bringing you a special Easter morning screening of JESUS CHRIST SUPERSTAR. This special sing-a-long event will be going down at 11 a.m., and due to the early start time we will providing everyone with donuts! Tickets are on sale now. If you like your rock a little more modern than 33 A.D., we have a great concert film coming to the later this spring. DISTANT SKY – Nick Cave & The Bad Seeds Live In Copenhagen is sure to be a powerful concert dealing with some of the same material featured in the last Nick Cave film we featured. Tickets are now on sale and we expect it to be just as busy and awesome as the last time.